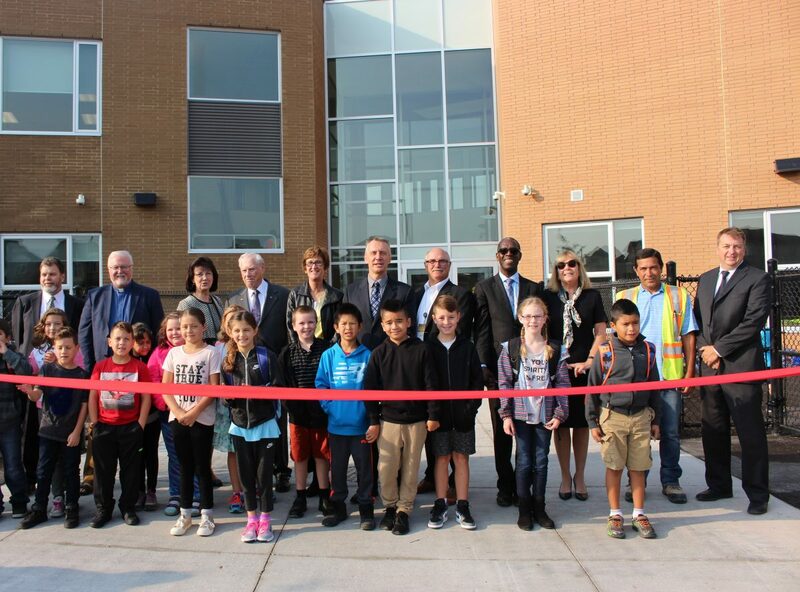 Students at Our Lady of Good Counsel Catholic Elementary School in East Gwillimbury returned to a new school facility on September 5, 2017. Students marveled at their new bright and beautiful school as they entered it for the first time. Before the school day began, students, parents, staff, and friends of OLGC gathered outside the new Our Lady of Good Counsel CES, located at 801 Murrel Blvd. in East Gwillimbury. Two students helped Principal Van Quinn raise the school’s Canadian flag before a short ribbon cutting ceremony that included Principal, Van Quinn; School Trustee, Theresa McNicol; Director of Education, Patricia Preston; Associate Director, Frances Bagley; School Superintendent, Opiyo Oloya; Inaugural OLGC Principal, Frank Kelly; other school and board staff, and of course, several students who were eager to see their new school. The old school was built in 1959 and was replaced with a new, modern facility that features a Library Learning Commons, five Full-Day Kindergarten classrooms, a music room, a double gym, as well as, state-of-the-art technology and environmentally friendly features such as occupancy and daylight sensor lighting and water bottle filling stations. 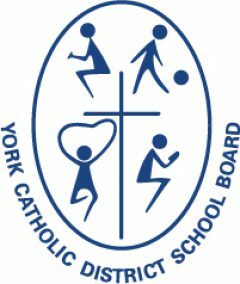 The new 57,000 square foot school will also include a child care centre with 72 licensed spaces. It can accommodate 461 students.